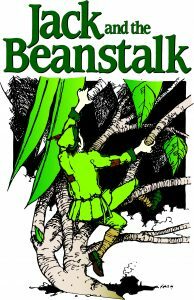 JACK AND THE BEANSTALK is an original adaptation of the classic children’s story. What happens when a young boy plants Wonder Beans in his own backyard? For Jack, it is the beginning of a great adventure. With a little help from P.T. Wonder and a Giant, Jack learns a valuable lesson about true happiness. This musical production also features a host of other characters, including the Elegant Harp, Jill, Mother, Milky White, the Farmers, the Merchants, the Circus Performers and the Wonder Beans. Performed by 45 local kids ages 6-18. Doors open one half hour before curtain.